Dynamically liaising with a distinguished client base of elite private collectors, decision-making art consultants, corporate art consultants, curators, architects, interior designers and decorators, as well as prestigious business, government, diplomatic and social VIPs, AMSTERDAM WHITNEY Gallery pre-eminently affords the acquisitor the extraordinary opportunity to acquire the most carefully curated, Contemporary Masters in the global art market. Known as “The Most Beautiful Gallery in Chelsea,” AMSTERDAM WHITNEY Gallery is strategically located in the “Heart of Chelsea” the unrivaled, influential global epicenter of the art world. Home to over 200 leading galleries and the Chelsea Museum of Art, Chelsea is the ultimate undisputed international art destination for the informed acquisitor, decision based consultant and accomplished artist. The cachet of Chelsea attracts prominent art visitors worldwide. In quest of the finest global contemporary artists, AMSTERDAM WHITNEY Gallery’s criteria is to highlight and showcase in a curated museum-caliber ambiance, Contemporary Masters and interpret significant art movements, reflecting diverse trends and mediums including Painting, Sculpture, Photography, Collage, Drawing & Watercolor. Featuring contemporary Representational Figurative art to Abstract work, modern Surrealism to today’s Neo Post Impressionism, Portraits to Abstract Expressionism, AMSTERDAM WHITNEY Gallery is the acknowledged definitive global art resource for the informed collector, cognoscenti and professional art consultant. Its museum-curated, influential monthly exhibitions afford the private collector and demanding art professional a stimulating museum forum environment to view outstanding art and acquire the most exciting, innovative talent of the present day art world. AMSTERDAM WHITNEY International Fine Art, Inc. was established in 2002 as a premier vanguard gallery in direct response to the discerning taste and trends of the sophisticated worldwide collector, searching to discover foremost cutting edge contemporary artists who will be the trailblazer Contemporary Masters into the twenty first century, showcasing them in a museum forum environment. Amsterdam Whitney Gallery bears the distinguished family name Ambassador Dr. Alton Amsterdam III, which is emblematic of the highest standards of excellence, offering both artists and collectors alike the highest pedigree. Owner, Executive Director-Curator, Ruthie Tucker, M.A., reflects 45 years of consummate art world experience and highest academic expertise, including executive positions at the Guggenheim Museum, Phillips International Auction House, elite Madison Avenue Galleries and years as a pre-eminent New York Art Dealer. Dedicated to being a passionate “Advocate of the Artist,” and widely recognized as being a catalyst in establishing the careers of a pantheon of artists, she and her co-owner husband, Ambassador Dr. Alton Louis Amsterdam III, created AMSTERDAM WHITNEY International Fine Art to be a dynamic, pro active, exciting museum quality environment which caters both to the nurturing promotional needs of the artist, as well as to the precise aesthetic demands of the informed collector and the respected art professional. A permanent rotating exhibition highlighting our Contemporary Masters. A strategically, curated Art Registry visual showcase of artist’s albums and resumes for collector’s reference. Also on display is Gallery Portfolio of the AMSTERDAM WHITNEY “Family of Artists” promotional color flyers. AMSTERDAM WHITNEY proudly publishes ART ACQUISITOR, a distinguished Annual, yearly art magazine which is a 12 month visual published showcase publicizing and highlighting the artist’s oeuvre, philosophy and artistic imprimatur. Distributed for 12 months to noteworthy collectors and decision making art professionals, artists are provided with a prestigious “Gallery-in-Print” to sell art, as well as an impressive art publishing career credential. “ART CALENDAR” Magazine is an Annual, yearly cavalcade of Amsterdam Whitney Gallery’s contemporary master artists showcasing their museum-caliber art on a highlighted calendar page and includes an Art Encyclopedia replete Artists’ Birth dates ranging from the Renaissance to our Contemporary Era, reflecting the art historical time-line of art throughout the ages. 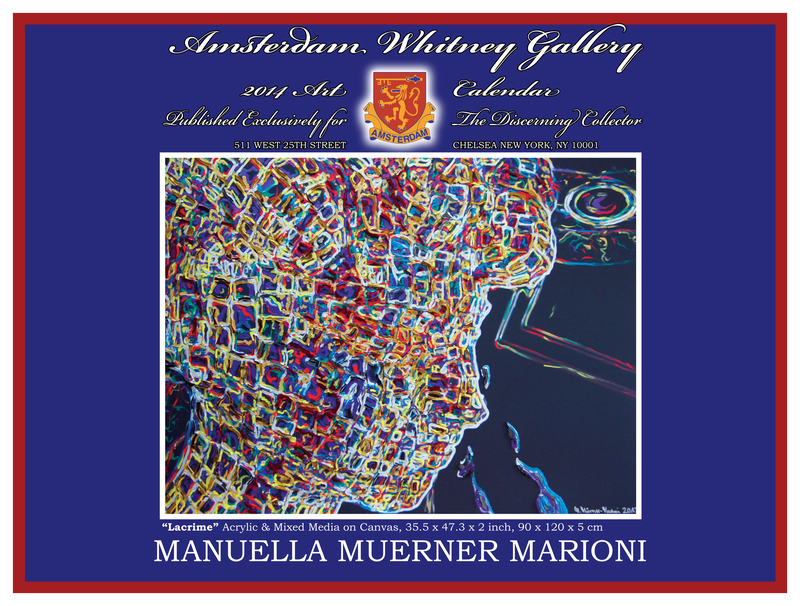 ART CALENDAR also showcases an exciting and glamorous pictorial year of art-social events occurring at Amsterdam Whitney Gallery. AMSTERDAM WHITNEY PUBLISHING heralds its Book Publishing Division of “ARTISTIC VISIONS” BOOKS, a hallmark series of heritage, hard-bound Museum-Caliber Books, which shine the spotlight on Amsterdam Whitney Gallery’s premier artists. Publicizing the gallery’s Contemporary Masters to selective Museums and Curators. Gallery Museum Tours – arranging private group museum style curatorial tours of the Gallery for elite cultural groups and premier collectors. Costume themed and Glamorous Special Events Gala Champagne Opening Reception Parties for premier Collectors, VIPs and Social Elite. 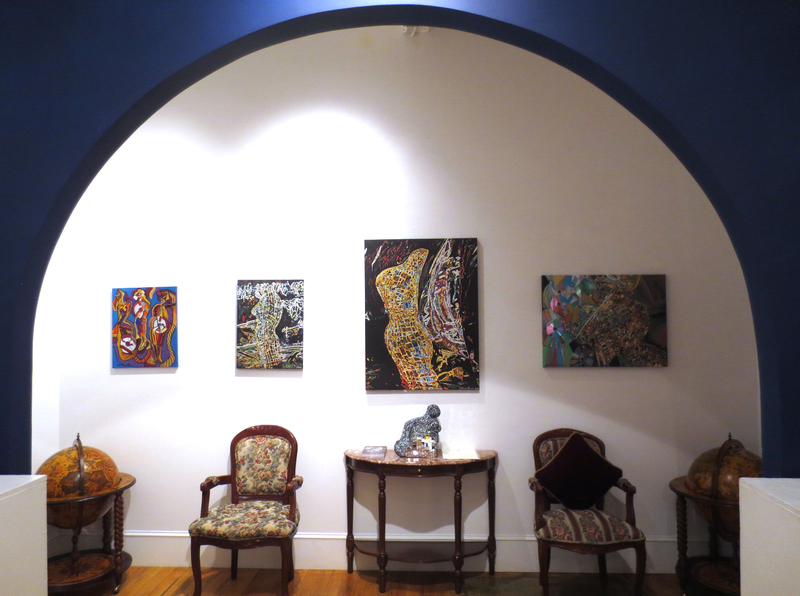 Private Art Presentations at client’s office, residence or in the gallery, exclusively targeted to accommodate the collector’s schedule. Personalized Collector Art Consultancy Curatorial Advisory Services. Amsterdam Whitney Gallery is committed to providing exposure across dynamic and interactive media for its artists. Amsterdam Whitney Gallery maintains a blog (www.amsterdamwhitney.tumblr.com), which posts feature works from the latest exhibitions as well as insights about the artists, an exhibition calendar, photos from Amsterdam Whitney’s Champagne Gala Openings, and a monthly Artist Spotlight that corresponds with Amsterdam Whitney’s annually published Art Calendar. Artists’ works and Exhibition Openings are also highlighted on Amsterdam Whitney Gallery’s Facebook, Instagram, Pinterest and Twitter accounts, where both artists and collectors interact with Amsterdam Whitney Gallery on a daily basis. 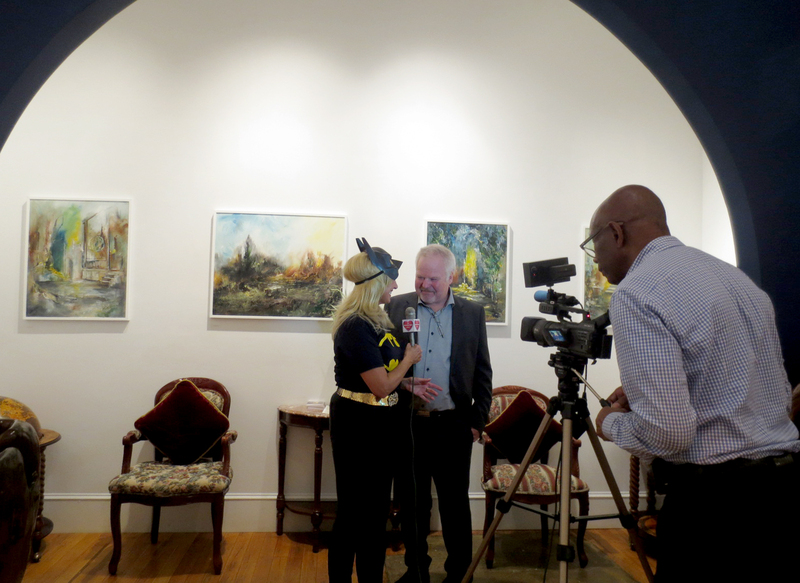 Ms. Kristal Hart, Producer, “Kristal Hart Show,” Noted Prime Time NYC TV Personality interviewing Amsterdam Whitney Gallery artists who are showcased on the “Kristal Hart” TV Show. 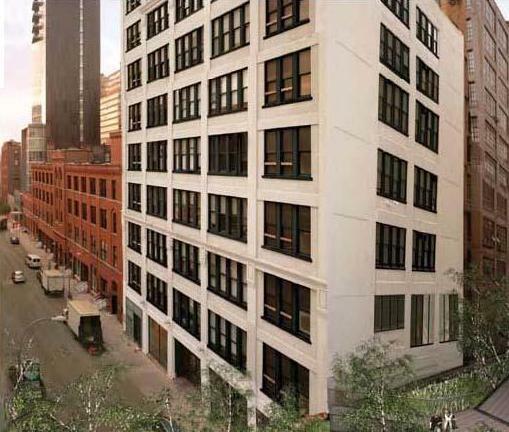 AMSTERDAM WHITNEY GALLERY is located at 511 West 25th Street, between 10th & 11th Avenues on 25th Street. SUBWAY: AMSTERDAM WHITNEY GALLERY is easily accessible from the “C” and “E” Subway lines. Exit at the “23rd” Street stop – walk underground & Exit to the street at the “25th Street Exit” and walk 2 1/2 blocks west. Bus: “23rd” Street Crosstown Bus. Exit at 10th Avenue & 23rd Street.